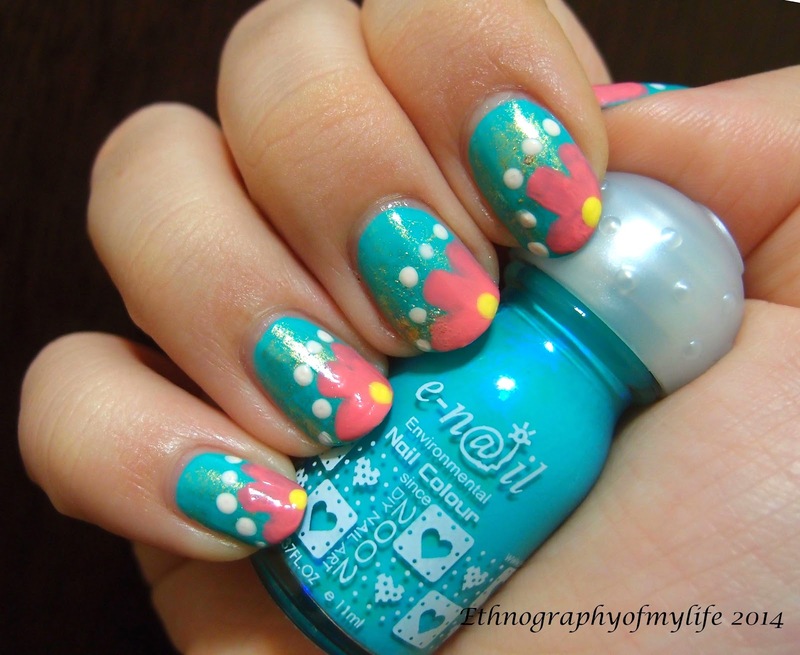 I came up with this mani the day after a fun trip with my BF, I love Sunday those days. I use Bikini as base, Pink Panther for the flower and Banana Boat for the flower stamens, white and gold shimmer color paints for the rest. 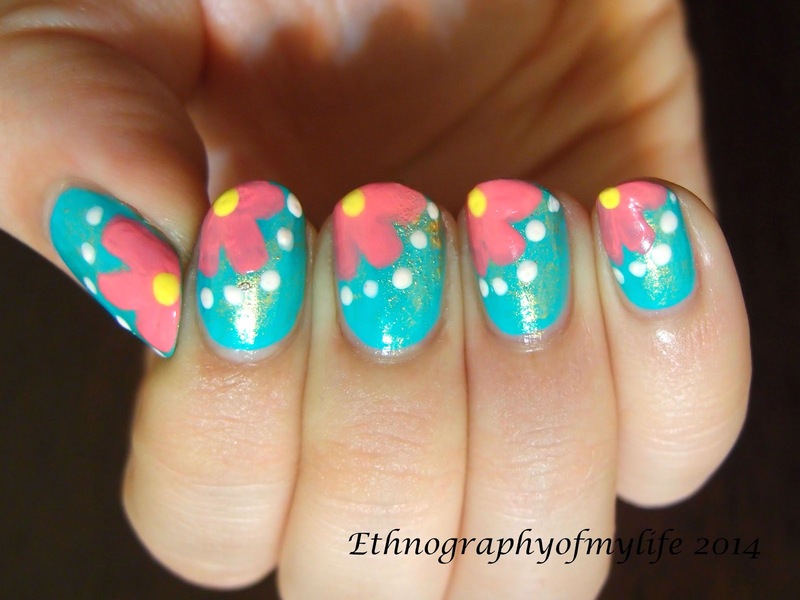 I really really love this mani and it reminds me of spring/summer time. Taiwan is so cold now, I don't know why subtropical is freezing as in the North pole.